It is some time since I’ve reviewed Fitness Reality 810 XLT power rack and now I have focused my attention on its sister, Fitness Reality 1000 Weight Bench. I don’t think that Fitness Reality needs an introduction, but maybe a short one. They make all kinds of fitness equipment, from power racks, to power towers to exercise bikes to weight benches. 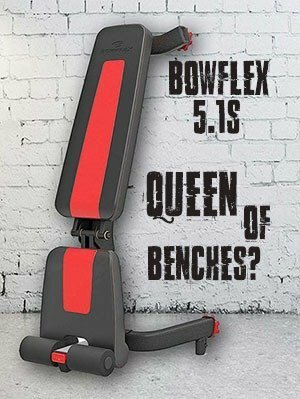 But we are here to talk about Fitness Reality 1000 super max weight bench, so let’s dive directly into the features. This particular weight bench is made of strong tubular steel frame construction with powder coating. The bench can be used in inclined, declined and flat positions. The back-pad is adjustable in 20-degree declined position and up to 80-degree inclined position, offering 12 total adjustment positions, while the front leg has 2-adjustment positions. The down bar leg for additional weight support has 3 adjustable positions and its also detachable. The front seat is comfortable and large enough – 15.3 inch W x 14.5 inch L.
Maximum total weight support is set to 800 lbs. The bench is fold-able and the folded dimensions are 51″ L x 23.5″ w x 9″ H (129.5 x 59.7 x 22.8 cm). The assembled dimensions are 59″L x 23.5″W x 48.5″H (150 x 59.7 x 123.2 cm) and the weight is 35 pounds (15.8 kg). My Experience – Is Fitness Reality 1000 Weight Bench Worth Your Money? Firstly, I must say that I was quite surprised by the sturdiness of the Fitness Reality 1000 weight bench. It is very sturdy and did not wobble at all under my friend’s weight (since he is heavier than me) of 220 lbs. We have placed the bench on a carpet. The assembly was pretty straightforward, it came practically pre-assembled, so I guess that’s why they did not add a manual. The front seat is large enough (15.3 inch W x 14.5 inch L) and very comfortable. I was please to see that the gap between the front sear and back seat is minimal. However, the flat position is not entirely flat, there is probably a few degrees difference from point to point, not it’s nothing noticeable on first sight. The 20-degree decline position is more than enough, along with 80-degree inclined position, although some people might miss 90-degree position. The backrest is comfortable, although it could be a littler larger. If you are a larger guy or if you prefer exercises like inverse crunches, then check if the size of the back-pad will be sufficient for you. 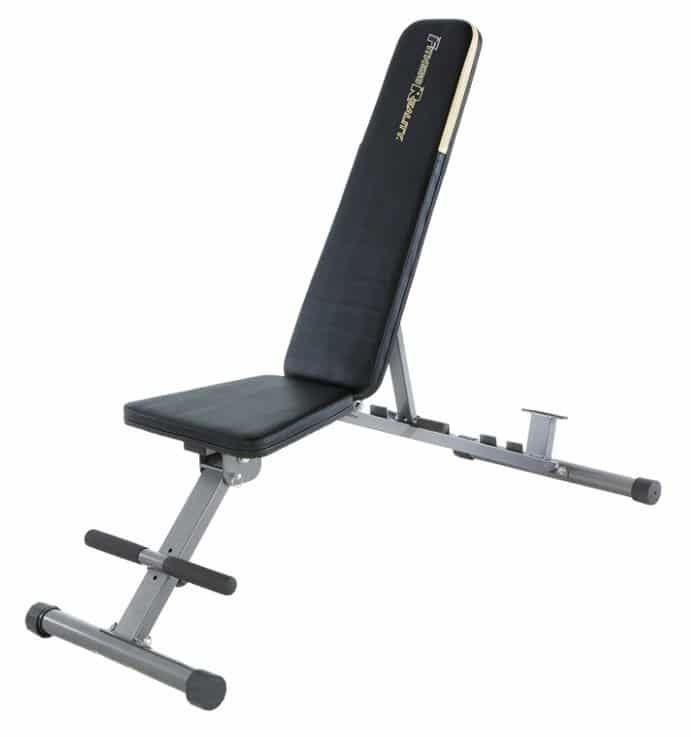 If you prefer a bench with a lot of weight support, sturdy construction, compact design and great price, then Fitness Reality 1000 weight bench is for you. But first check the size of the bench and pads, if it will fit your body.